The 2019 calendar year kicked off with a bang as January saw a raft of new launches including some of the highly anticipated models. Chief among them was the Harrier which has managed to hold its stead ahead of rivals in the premium SUV segment. 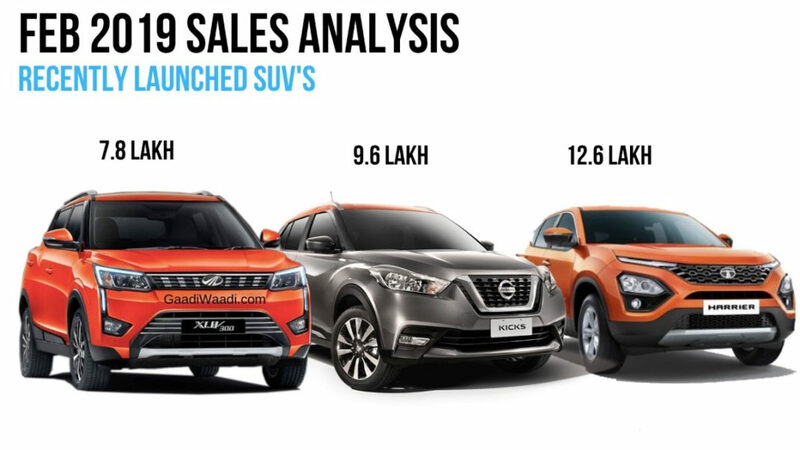 While the Hyundai Creta, with its long range of offering, continues to be on top but the Harrier did tame models like Jeep Compass and Mahindra XUV500. In March 2019, 2,492 units were sold and one of its competitors, the Nissan Kicks, garnered 701 units during the same time. The Kicks was launched on Jan 22, just a day ahead of Harrier, and despite being a capable SUV it could not match the numbers of the OMEGA platform based model in February and March. Just as Tata, Mahindra & Mahindra has been a busy brand in the last few months courtesy of the new launches. The XUV300 and Marazzo are making certain impacts in their respective segments as the former beat Ford EcoSport and Honda WR-V last month with 4,742 units while the latter has maintained its consistent run with a haul of 2,751 units. However, the flagship Alturas G4 based on the SsangYong Rexton G4 has not been up to the regular sales volume of Toyota Fortuner and Ford Endeavour. Toyota launched the eighth generation Camry hybrid in January 2019 and it has been well-received among customers and 62 units were sold in March 2019. We did not categorise the ten models by sales volume as they sit in different segments. As for Maruti Suzuki, no brand new nameplates were launched in recent memory but the brand has constantly been upgrading its existing range. 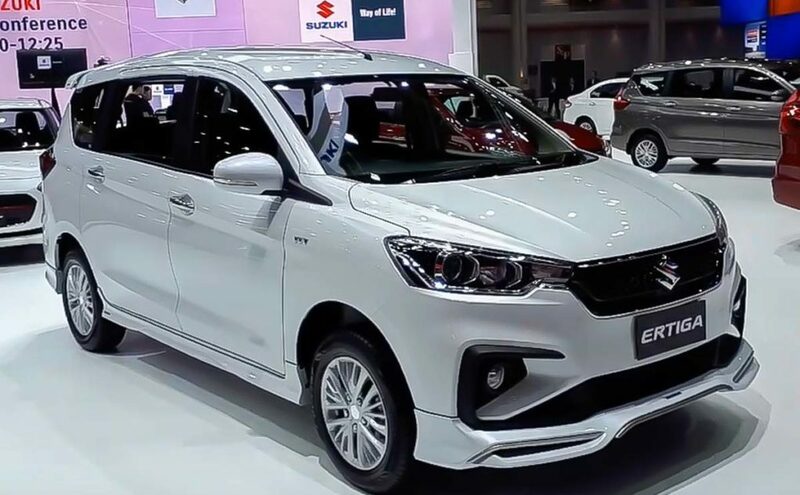 The second-gen Ertiga launched in November 2018 has been a big hit and it reached its highest ever sales last month at 8,955 units. 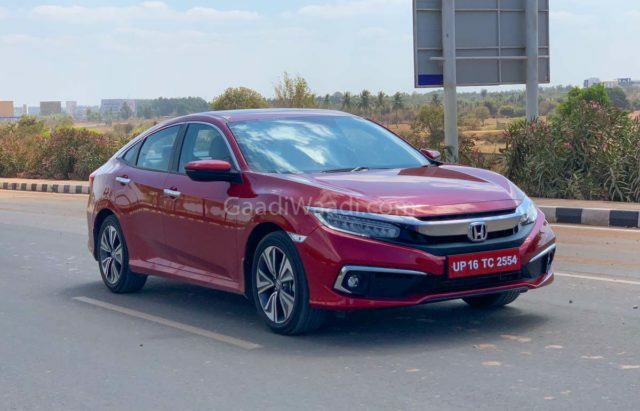 As has been the case with Wagon R that gained a complete makeover in January 2019. Its sales volume has steadily been increasing since the month of its launch and in March more than 16,000 units were retailed. Maruti Suzuki gave Baleno a minor refresh recently and it has been working well so far as 17,264 units were registered last month. Last but not the least, the re-entry of the Civic nameplate has proved to be an immense success for Honda. Went up for grabs in March 2019, the executive sedan recorded 80 per cent of its segment’s sales by sweeping a total of 2,291 units.